Is it an issue that we are constantly looking for ramen everywhere we go? It seems like every trip we take, we wonder if the area has good ramen so we seek spots that seem promising based on reviews. 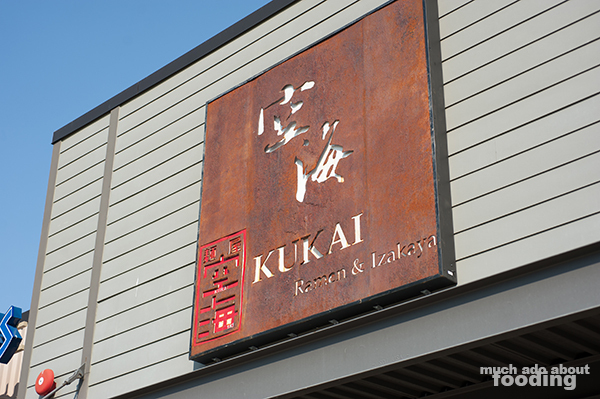 When we went to Seattle, the spot was Kukai. We met up with a friend who had moved to the area recently, eager to see what there was to offer in that part of town. 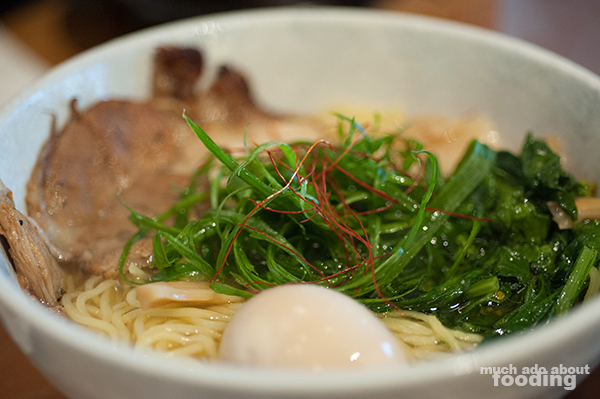 I had originally chosen this place because I noticed that had a yuzu shio ramen on the menu. Sounded interesting and unique so we had to go! 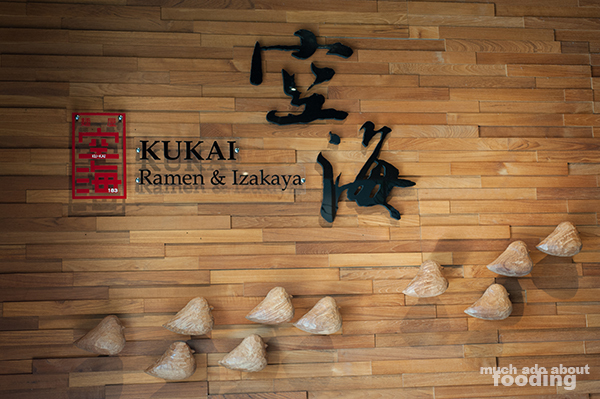 Located in a shopping center/plaza of sorts, the ramen spot and izakaya is situated in the buildings on the outskirts and neighbored by some fast food joints. It was a bit unassuming on the outside but once you step inside, the decor is welcoming and laid out well. Built out to clearly indicate their Japanese cuisine (if the name wasn't indicative enough of this...), the restaurant featured plenty of black furniture and bamboo structures. 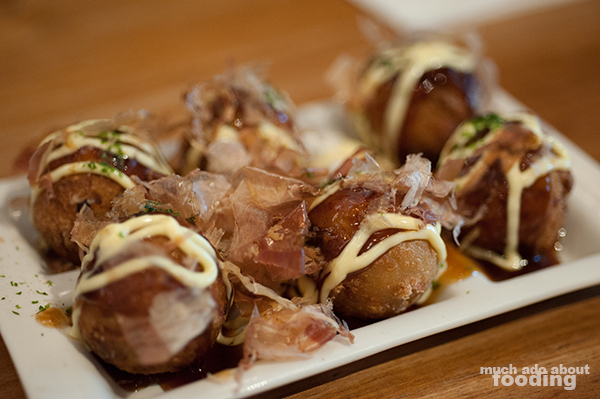 Service was quick and cordial - we started of with their Takoyaki ($5 - octopus dumplings with aonori, okonomi sauce, mayo, and bonito flakes) because how do you go to a Japanese restaurant without some? They made a good plate of it which were a little mushier than preferred but had a good amount of octopus. The amount of sauce was just right as well though it was slightly salty. For our entrees, Duc went for the Garlic Tonkotsu Shoyu Ramen ($12 - extra-rich and limited quantity available daily) because he has a tendency to pick the strongest flavors in his food. I opted for the Yuzu Shio Ramen ($11 - French sea salt, kelp, and Japanese citrus base) I had read about before. The broth on his tonkotsu was not as thick as some other ramen joints we've been to before but they were not exaggerating by saying it was garlicky. 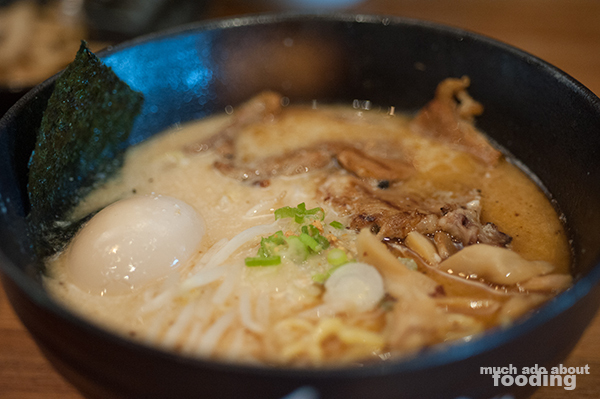 The lack of an extra-rich broth though detracted from the typical tonkotsu we are accustomed to having. Perhaps they are better as a shio shop! My yuzu shio ramen definitely showcased their shio base broth as a good choice. I enjoyed how the yuzu contributed its citrus brightness to the dish and a signature slight bitter that yuzu typically has. The mixture worked well. I do, however, prefer thick, hearty broths but would really recommend this yuzu shio for those wanting ramen at a lighter, brighter level.